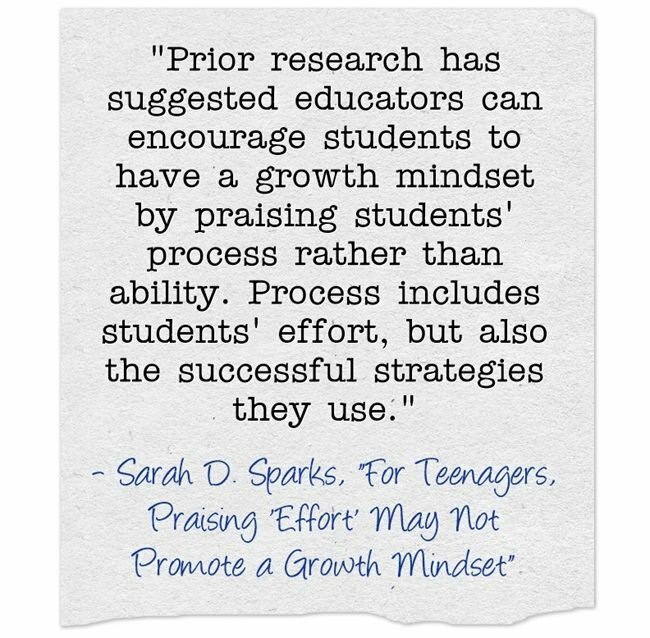 Sarah Sparks over at Ed Week has a great write-up about a new study finding that praising effort alone is not enough to promote a growth mindset among teenagers – we have to praise specific strategies/actions they took. 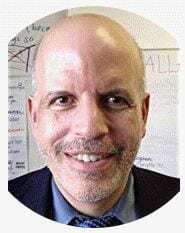 My suspicion, however, is that many educators are like me – we use the “praise effort, not intelligence” mantra as a way to describe what we should do, but that our actual practice also includes emphasizing the specific actions/strategies the students used. Teacher feedback should focus on praising effort, hard work and specific learning strategies (“I noticed that you were practicing pronouncing the words and asking your partner for advice before you read that passage to the class, and it really showed”). This type of feedback has also been called “process praise” Just encouraging students to try harder can fall into the rut of “If the only tool you have is a hammer, then everything looks like a nail.” Without the appropriate learning strategies even the hardest working student might not be successful. 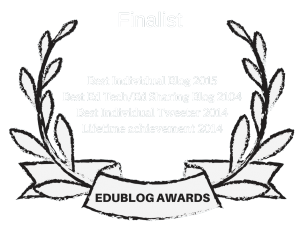 Providing opportunities for students to reflect on their own learning. Highlight mistakes in the everyday practice of learning. Use group work where peers discuss what they each struggled with and explore individual strengths of different students.